Home » App Arcade , APPLE , Arcadium for 2 , games , Power Mac Center , Tournament » Join Power Mac Center’s App Arcade Tournament,"ARCADIUM FOR 2"
Join Power Mac Center’s App Arcade Tournament,"ARCADIUM FOR 2"
From last year's success of ARCADIUM, a Power Mac Center's app arcade tournament, today the kick off of this year's app arcade tournament, ARCADIUM For 2 is on. The premier Apple partner in the Philippines Power Mac Center rolls off Arcadium for 2, through the participation of the media and bloggers at Power Mac Center, Power Plant Mall store. 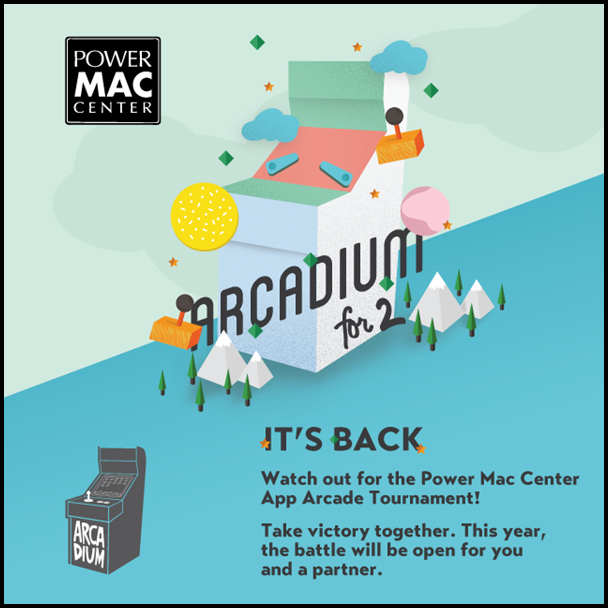 Power Mac Center’s ARCADIUM For 2 is said to be the first time in the tournament’s history, because the participating gamers can form a tag team and pit themselves against other pairs for a chance to win premier Apple products and third-party accessories. “More than just a tournament, Arcadium has become a gathering of Apple users who also share interest for digital gaming. 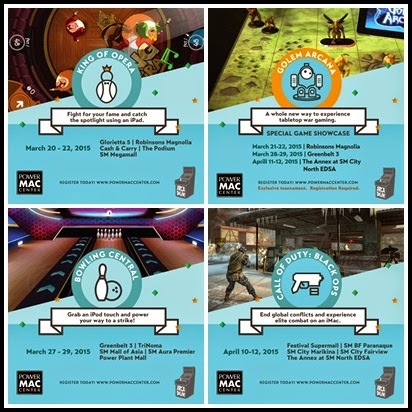 With the unveiling of Arcadium for 2, Power Mac Center is about to double the fun and excitement for the crowds of gaming enthusiasts that we will attract to this year’s event,” said Power Mac Center Marketing Manager Joey Alvarez. Arcadium for 2 is sure to draw gaming enthusiasts of all ages through featured games that showcase the multi-player capabilities of iPad Air, iPod touch, Apple TV, iMac and MacBook Pro. Play the simulated and challenging bowling adventure with Bowling Central; be a part of the elite combat with the spy thriller Call of Duty: Black Ops; gain the most points to take the spotlight in King of Opera; and experience miniatures board game with Golem Arcana. Each featured game will require a pair of gamers, whose individual scores will be added together to determine their score as a pair. The four highest-scoring pairs per game during the elimination rounds will advance to the finals event and compete for a chance to win prizes that include iPad Air, Power Mac Center Gift Cards, and premium accessories from partner brands. 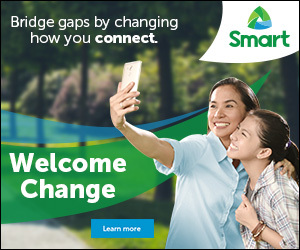 Visit the Power Mac Center store and register, because the series of elimination rounds startred like in Greenbelt 3, TriNoma, SM Mall of Asia, SM Megamall, The Annex, Robinsons Magnolia, The Podium, SM Aura Premier, Festival Supermall, Cash & Carry, Power Plant Mall, SM BF Parañaque, Glorietta 5, and SM City Fairview.